Cumberland, Md. (Nov. 29, 2017): Enterprise Rent-A-Car, the country’s largest transportation solutions provider, released a pair of new video shorts featuring bicyclists on the 150-mile Great Allegheny Passage and 184.5-mile C&O Canal Towpath. Filmed in Pennsylvania’s Laurel Highlands, Allegany County, Maryland and Pittsburgh, “The Cumberland Connection” videos highlight a father-daughter duo who ride the Pittsburgh-to-Washington, D.C. journey and make their return trip by renting a vehicle from Enterprise’s Cumberland location. The shorts are featured on Enterprise’s website as part of Pursuits with Enterprise, the brand’s digital magazine designed to inspire and enable more purposeful travel experiences. One of the videos is narrated by Larry Brock of Mountain Maryland Trails. Production took place during the summer of 2017, and the final cuts feature shots of the Great Allegheny Passage along the Cumberland Narrows, over the Salisbury Viaduct, through the Pinkerton Tunnel, across the Ohiopyle Low Bridge, and in Point State Park. The video shorts are available at https://www.enterprise.com/en/inspiration/weekend-adventures/cumberland.html. 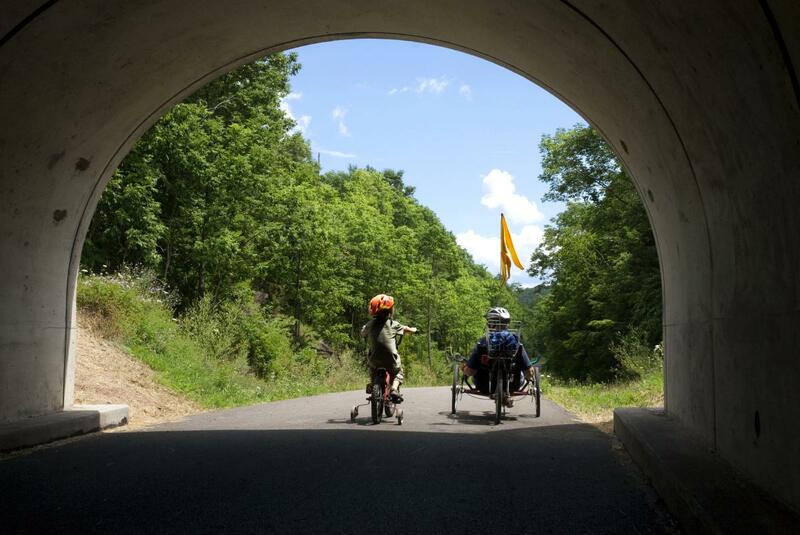 The Allegheny Trail Alliance is a coalition of trail owners and trail groups that built and now steward the Great Allegheny Passage, a 150-mile rail-trail connecting Pittsburgh to Cumberland, Md. The Great Allegheny Passage is the longest rail-trail in the eastern U.S., and welcomed over a million visits in 2016. It connects with the historic C&O Canal Towpath in Cumberland, allowing cyclists and hikers to complete a 332-mile journey to Washington, D.C. For trip-planning ideas, visit www.GAPtrail.org.